I learned generosity from my mother. Im sure everyone says this about their mother but she was legit a saint. Bearing and raising 8 kids while my dad hustled away at giving her and us a better life. She still managed to be a good friend and community leader. She was generous with her heart and time to uplift others always. So lets dig a little deeper shall we? Theres layers to this generosity stuff. Immediately we think being generous equates money and material things. Though thats nice and all and you should for sure give back when and however way you can. But I want us to discuss being generous in other ways. Learn to be generous with your time. We all lead such hectic lives. Especially in cities like New York where time seems to escape us. Being generous with your time could be as simple as joining a friend for a day in the park for a quick kick back. Or volunteering at your local shelter. Better yet joining groups and standing up for things you believe in like #blacklivesmatter , women’s rights , international affairs and so on. Carving out some time weekly to call friends and family just to check up. Maybe its being generous with yourself and making time for things you have put off. We all need a supportive foundation on this life journey. Be that friend that is generously offering up support. Sometimes generous support is just a listening session. Make yourself available for friends , family and colleagues by being supportive of their endeavors. I’ll be honest here. This weeks affirmation hits hard for me. These are things I really need to work on. Especially being generous with my time. Life is too short not to be generous with our loved ones in ways outside of gifting them awesome things. Be generous and offer them experiences that create the kind of memories that money cant buy. Through learning how to be generous make sure you are protecting yourself in the process. 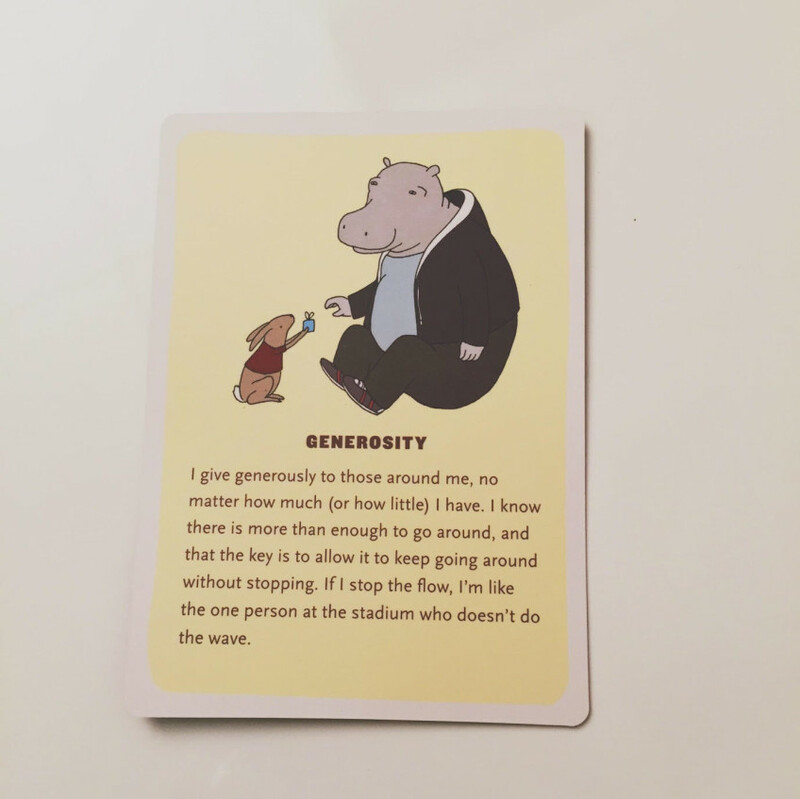 Project generosity but know when you are being taken advantage of. Learn to trust your instinct and protect your time , support and energy. Its all magic at the end.